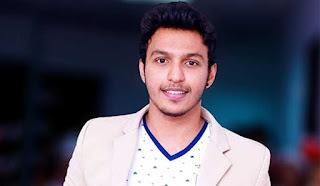 Singer Amal Perera’s son Nadeemal Perera and a prison officer who were arrested in Dubai with drug kingpin Makandure Madush, have been deported to Sri Lanka yesterday, Police Spokesman SP Ruwan Gunasekera said. He said that Nadeemal Perera (24) and prison officer K. Lalith Kumara (52) were detained by the CID and the PNB at the Katunayake airport on their arrival. They arrived at the country on FlyDubai flight FZ 547 this morning. Thirty-one suspects including Makandure Madush, singer Amal Perera and his son Nadeemal, were arrested at a luxury hotel in Dubai on February 4.